Some time ago, an assignment brought be to Qingdao for three days. Situated on the southern tip of the Shandong peninsula, Qingdao has long been an important commercial and strategic port. With an urban population roughly the size of Denmark, the city is relatively small by Chinese standards, but is well known for its beaches and coastline, as well as for being home to Tsingtao, one of China’s largest breweries. Recently, Qingdao also enjoyed some time in the international spotlight when it hosted the 2008 Olympic sailing competitions. 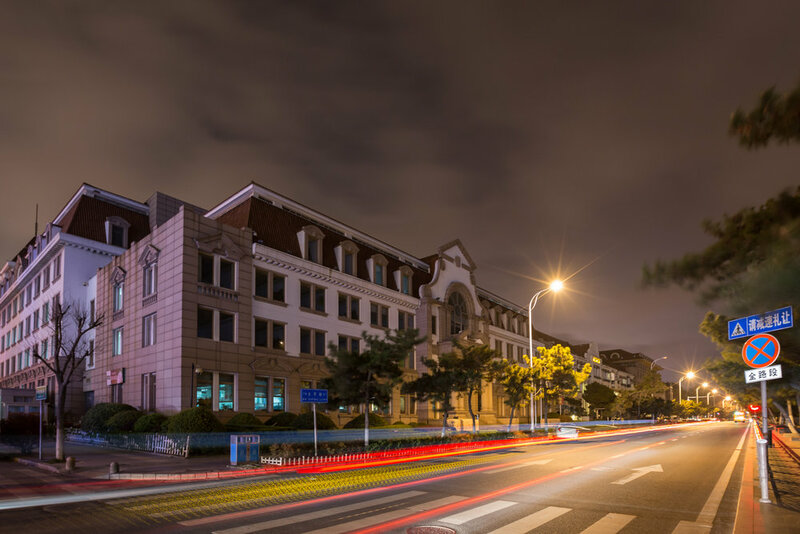 Qingdao has a unique, east-west legacy. To the north of the city is Laotian mountain, widely considered to be the birthplace of Taoism. More recently, in the late 1890s, the city was conceded to Germany along with the surrounding area on a 99-year lease. The Germans did not stay for long however, and made their departure less than 20 years later following their defeat in the First World War. The short-lived German concession left a left a distinct mark on the city. For centuries Qingdao had mostly been a small and sleepy fishing village. With the arrival of the Germans came an expansion of the city’s urban grit along with modern power lines and a sewer system. As German engineers were hard at work constructing the regions first railroad, German architect Curt Rothkegel was busy designing many of the city’s now famous landmarks. The urbanization which began with the Germans was later continued by the Japanese, who briefly occupied the city in the 1920s, and then later by the Chinese when they regained control of the city. Today, much of Qingdao’s German footprint remains intact. The old city center that now makes up Qingdao’s eastern half is full of narrow, hilly roads with cobblestone streets, churches and tree-lined avenues. Many German style buildings remain and red rooftops continue to dominate the old part of Qingdao’s cityscape. In the western half of the city a sprawling central business district has sprung up, full of high-rise buildings and gated communities. Yet despite this stark contrast between old and new, Qingdao still feels like a cohesive city, its disparate neighborhoods tied together by the city’s long shoreline and hilly geography.